As students of the TCHS Dance Department, Ms. Zwierzynski encourages her students to see live dance performances to enhance their appreciate and understanding of dance. If students attend an outside dance performance and write a 1 paragraph reflection, students may receive extra-credit for their extended learning experiences. 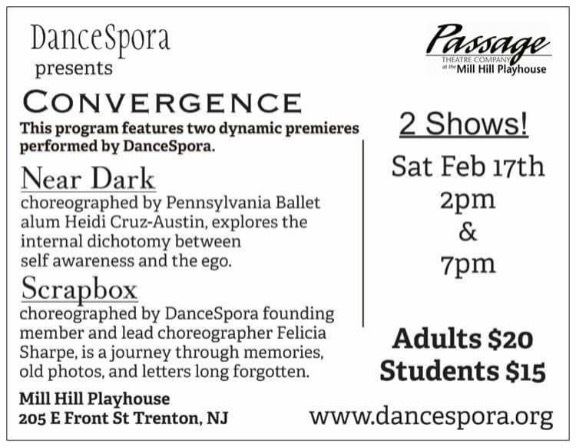 Come support Trenton's premiere contemporary dance company at Passage Theater this weekend! 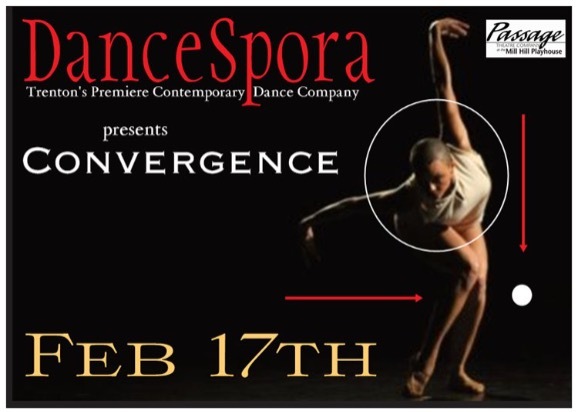 For more information visit ​https://www.dancespora.org. Tickets are offered at a discounted rate for students! Planning to take a trip to NYC? or need an excuse to visit? 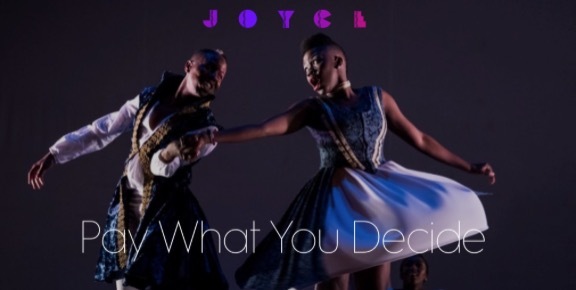 The Joyce Theater's Pay What You Decided Program is a great way to access high-qaulity dance at a low cost. The Joyce Theater, New York's only all-dance theater, is offering three shows under this deal. Reserve a ticket for one or for all! British choreographer and director Wayne McGregor, Resident Choreographer at The Royal Ballet, brings his hip contemporary dance back to New York with Autobiography, featuring stunning projections, and a driving electronic score. Brian Brooks Dance brings two radical explorations of space and time to The Joyce. As if in a perpetual state of rewind, Prelude traces actions back to their original inception. Also on the program is Division, featuring original music by composer Jerome Begin. South African choreographer Dada Masilo presents a torrid retelling of the tragic-romantic ballet, Giselle. By setting the work in rural South Africa and imbuing it with African rituals and ceremonies, Masilo creates a contemporary vision of the classic tale.